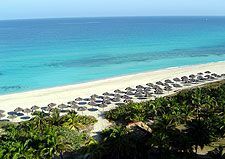 The four-star Playa Caleta Hotel is located in Varadero Cuba, on the north shore of the island of Cuba , where the Caribbean dreams of any traveller come true. Near Varadero, visitors can discover spots with genuine Cuban flavour and exotic destinations . Hotel Playa Caleta **** is located only 25 minutes away from Varadero airport and 5 minutes from city centre , an ideal location where the Varadero peninsula begins between the ocean and the Canal of "Paso de Malo" and commercial and recreational areas can be conviniently reached by foot. The Hotel was completely remodelled in 2005 to modernize its facilities and improve its services. 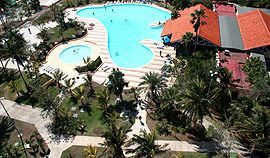 This all inclusive resort complex is surrounded by exuberant tropical gardens and a spectacular swimming pool for adults to relax and another pool for children, in addition to one of the best white sanded, crystal blue watered beaches in Varadero. A nice atmosphere with all the exotic Caribbean charms, a professional entertainment team that provides daily and nightly activity programmes, shows, games, water sports, disco music animation, gym, and much more. All this will ensure that each guest enjoys a fantastic and unforgettable stay. 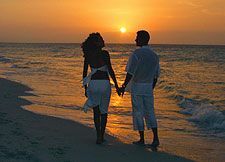 Trips to Varadero´s city centre , Havana, Cayo Largo, and Trinidad and as well as romantic sailing excursions can also be arranged from the hotel . These are some of the enchantments that will allow visitors to enjoy the Caribbean at its most pristine. 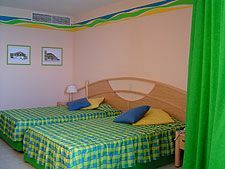 The Playa Caleta hotel consists of a comfortable seven-floor building situated on the beach front with 255 rooms . All rooms at the Hotel Playa Caleta come with a balcony, allowing our guest to enjoy incomparable views of the ocean or the lush , tropical gardens . The rooms are provided with one double or two twin beds, Air Conditioning, Satellite TV, Telephone, Mini-fridge, In-room safe deposit box (additional cost), Full bathroom with hairdryer Our “all inclusive” services include, in addition to all the meals, snacks, and international and local drinks all day long, a variety of customized services such as: Breakfast, lunch & dinner buffet, Grill and pizzeria, A la carta dinner (reservation required ), Unlimited National and International drinks, Sports minigolf , French balls (petanque), table tennis, darts, billiard & beach volleyball, Unmotorized water sports, wind-surfing, kayaking, catamaran, pedal boats and snorkelling. Gym Daily entertainment programme Evening entertainment and shows Beach and poolside sun-beds and towels Courtesy coach to Varadero several times per day. Miniclub with entertainment for children aged 4 – 12 Restaurants and bars: A combination of international and Caribbean cuisines and delicious buffets are offered by the different restaurants. Also offered are evening meals by different country themes. The 24 hour bar service offers cocktails, combined drinks, national and international drinks for the guest to enjoy on the beach, by the poolside, under a palm tree or just sitting in the lobby. Restaurant Buffet “Vista al Mar” A la carta Restaurant “Casablanca” (reservation required ) Cafeteria “La Floresta” (24hrs) Pool Restaurant “Cagüairan”: Beach Bar “Marengo” Lobby Bar “Plaza el Escambray” (24hrs) Aqua Bar “El Cocotero” Other services: You can also find the following facilities at the hotel : Massage ($) Souvenir shop Golf (15 min from the hotel) Medical service ($) Money exchange Internet ($) Car rental Motorbike and bicycle rental service Fitness Centre Tourist information and excursions Taxi service. No reviews for Hoteles C Caleta yet.